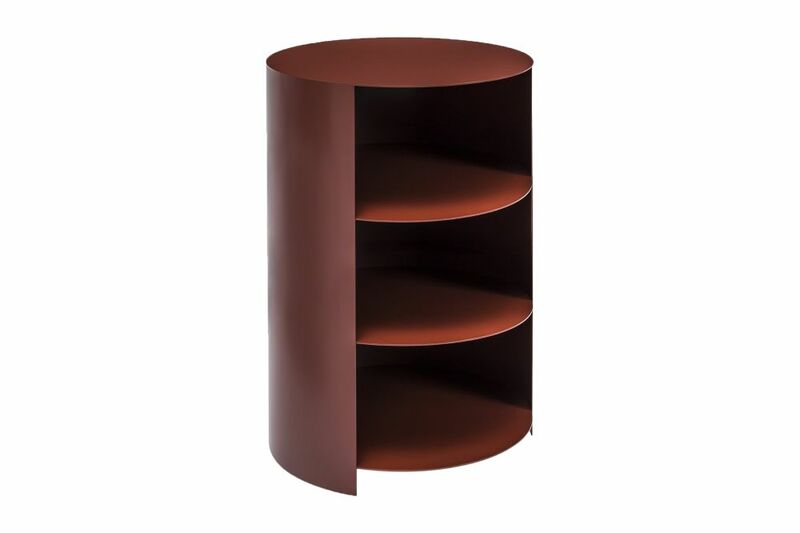 The new edition of the Hide Pedestal, by Cologne-based designer Karoline Fesser, builds on the minimal design of its predecessor, but now offers more space with the addition of an extra shelf. Made from powder-coated steel, Pedestal’s formal geometric body conceals useful storage compartments; simply rotate it to display or hide your favorite items. A concealed spherical hole allows for neat cable management for electrical devices.